Substitute other greens for the spinach. Try chard or kale. Substitute other raw nuts (if you have a strong blender) or nut butters. Try cashew, walnuts, or peanuts, for example. Substitute other fruits. Try apples or pears with ginger and cinnamon for a fall smoothie. Add protein powder: hemp, rice, or pea protein can be good options. This is a more processed form of getting extra protein, so check the label and avoid any extra additives. Avoid whey protein if you have a dairy sensitivity. Add water if the smoothie is too thick. Add ice if you want a frozen smoothie. 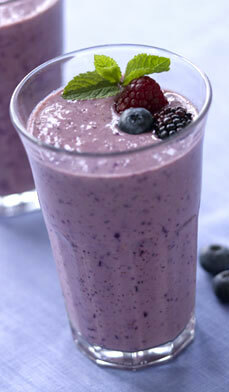 Enjoy this smoothie everyday for breakfast or lunch!